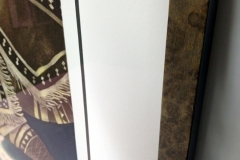 Framagraphic has had the pleasure of framing a number of Yellowknife based artist Germaine Arnaktauyok ‘s work from the Inuit Gallery. 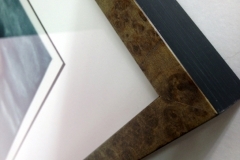 Three prints from this edition have passed through the store, each framed in a very unique and different style. 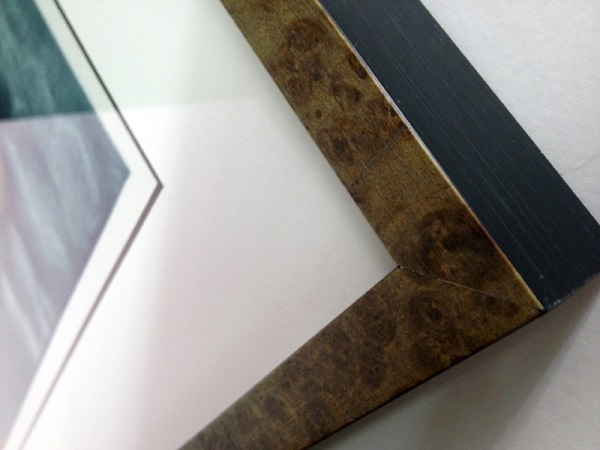 From a light maple frame to this wonderfully textured Roma Savoir frame, there is a wide variety of options when it comes to framing this piece. 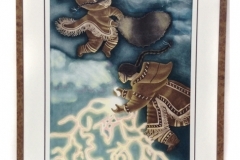 “In this print The Sisters’ Story, Germaine revisits the Inuit legend of how Thunder and Lightning were created. While she has explored the story earlier in her career, this etching shows Germaine’s wonderful graphic skills and her eye for detail that make her the foremost visual storyteller of the Far North. 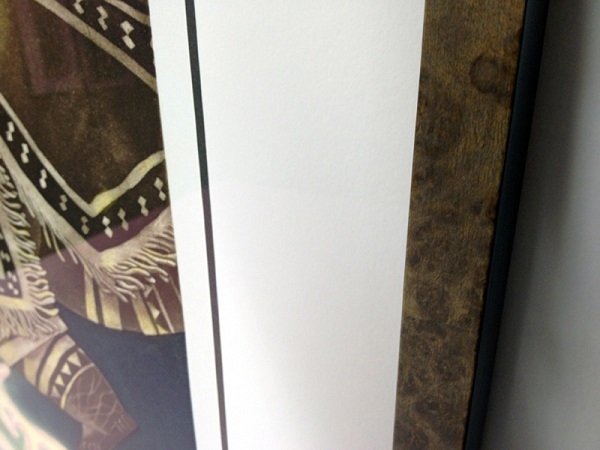 The artist has also hand-coloured each of the individual print editions creating a striking and captivating image. The artwork tells the Inuit legend of two young orphaned sisters who were adopted by a couple that severely mistreated them. Malnourished and hopeless, they lost the will to live and died within days of each other. Before their deaths they made a pact to come back as spirits and exact revenge on their adoptive parents. In their spiritual form they systematically began to haunt their abusers with the goal to keep them awake as long as possible and frighten them into insanity. 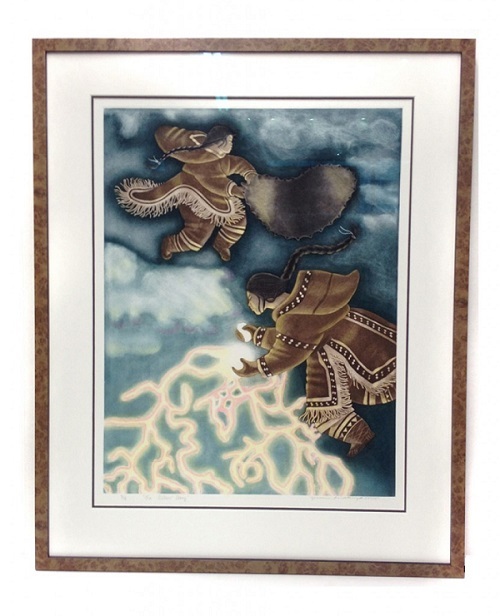 The print depicts how they quickly achieved this: one girl used an old dry sealskin to make loud rumbling and cracking sounds, while the other rubbed two stones together that created violent sparks that dashed into the ground and set the dry grass on fire.